Patient and public involvement (PPI) refers to patients and/or members of the public being involved in research, not as subjects or participants, but as active partners and decision makers alongside researchers. In Health Service research, PPI is common place, and is often an essential requirement for grant funding. Sports Medicine has a lot in common with this field and should strongly consider integrating PPI within their work. Involving patients and members of the public in research decisions can help to ensure that the research is relevant and appropriate, while improving participant recruitment and retention too. 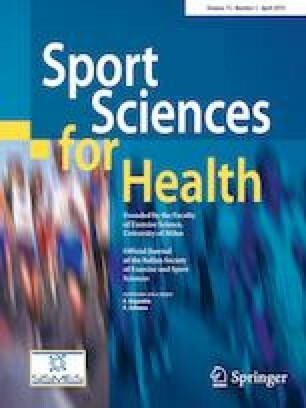 This piece draws upon my own experiences from the research fields of Sports medicine and Health Service research, and addresses how PPI could benefit researchers within Sports medicine. In the research context, the idea of ‘public involvement’ stems from health services research, where patients and members of the public are often involved in decision making processes. This has now become common practice and is an essential requirement for grant applications (e.g. National Institute of Health Research). But what does it involve, and why is it relevant to Sports Science and Health? To begin, just imagine a typical project meeting involving different people, each with their own specialist knowledge to contribute. For example, a statistician, a methodologist, and a topic expert are all present and they are discussing ideas and planning a grant application for a study. They have selected individuals that they feel are important to ensure that the study is addressing the right questions, while being rigorously designed. In theory, this should improve their chances of being awarded the grant. But, is there anyone missing? Is there any knowledge or specialist experience that would also be essential when ensuring that the right questions are being asked and that the study is appropriately designed? What about the people who the research is hoped to benefit? Recently, I have made the transition from a Sport and Health Sciences department to a Health services research department. In this environment, having a patient or member of the public as part of a project team is just as common as having a researcher or statistician in the team. This is often referred to as public and patient involvement (PPI). PPI utilises a dynamic partnership between researchers and patients (or members of the public) and it is distinct from people being a ‘subject’ or ‘participant’ in research, or from the researchers’ raising awareness of research, engaging and sharing knowledge with the public. PPI draws upon the experiential knowledge, lived experience and lay perspective of patients and members of the public to contribute to the research process as critical advisors. PPI ultimately aims to give research more validity and ‘real world’ impact and could help the dissemination of research in a manner that will be better understood by the target audience. Significantly, PPI is not research . However, it involves the public contributing their own specialist knowledge to the research process. In practical terms, PPI might mean that a member of the public, from the population being researched, is included in discussions about the project. Members of the public can have input in many different areas, in all stages of the research. Throughout this piece, examples of how PPI could be integrated into Sports Medicine research will be described for a variety of different purposes. These are based on my own experiences, whereby I can reflect back on several elements of my PhD research, in addition to conversations that I have had with colleagues, now knowing that some of the problems faced could have been overcome by involving non-researchers or ‘lay people’ in projects. Therefore, the aims and scope of this opinion piece are to share thoughts on the value of PPI in the field of Sports Medicine, and to encourage a shift in thinking, with more value placed on why we are doing research and what difference it will really make. If we are researching people, we need people to guide what we research and how we research it. What is the value of PPI? There are many reasons to include PPI as part of your research. Here the focus will be on three aspects which are pertinent to Sports Medicine: (1) relevant research, (2) appropriate protocols and (3) recruitment and retention. These three aspects are not mutually exclusive, but will ultimately lead to more effective and relevant research. Without PPI you could be missing key impacts of your research, as a result of not asking the right questions. For example, are the aims and inferences of the study important and aligned to the needs of the population group being researched? If we are conducting research to encourage change, then making sure that the research is both important and of interest to the target group is vital. For example, a group of researchers conducting a study on an exercise intervention for the treatment of depression decided (without input from someone in the population of interest) that the aim of the intervention should be to prevent depressive relapse, and so included this as the primary outcome. However, what is really important to the participant is being able to cope when they become depressed and not whether or not they have episodes of depression. In Health Services Research there is often opportunity for patients/public to be involved in early research ideas. This can be as simple as running a research idea past relevant patients or a member of the public. Similarly, in Sports Medicine, it is important to check in with your intended audience to ensure the topic you propose to research is important and relevant to them, and if effective, would it actually be implementable outside of a laboratory setting. How can the public make research more relevant? To do this you could hold a meeting with members of the public or patients in the demographic of interest where an early proposal or research idea could be discussed. For example, in a project looking at exercise intervention and adolescents with type one diabetes, the project team could get input from adolescents with type one diabetes to help decide on primary outcomes of the trial. This would involve organising a meeting with both patients and researchers to discuss the important elements of such an intervention. The researchers might have initially believed that the primary outcome of this study should be improved long term blood sugar control. After discussing with a group of patients it may be highlighted that this is not important to them, and in a ‘real world’ this would not encourage them to do more exercise. What is really important might not be blood sugar control but that they could take less insulin on a daily basis, or play sport at lunch time without becoming hypoglycaemic. This discussion, in the early stages of project development, would allow researchers to shift focus to measure insulin use and insulin sensitivity, and thus avoid missing any valuable effects of the intervention. As researchers, protocols are regularly designed to maximise research output, with little consideration of the implications that this will have on participants. However, a few extra measurements added to feed the knowledge hungry researcher may have a huge impact on the burden of the testing protocol for the participants. This often comes in the form of one extra blood sample, or having a control measure that is not suitable for a particular group. Therefore, PPI helps to ensure that the research protocol is both appropriate and feasible [2, 3]. From my personal experience, in a study assessing the effects of acute exercise of glycaemic control in children with type one diabetes , the protocol was designed according to previous work in a ‘healthy population’. After funding was approved, the study ran into some difficulties during the initial recruitment phase. It turned out the study was overly ambitious and unfeasible in this patient group. This was not to do with its scientific rigour, but because the protocol was not appropriate for that particular population. However, if PPI had been incorporated from the offset, certain aspects of the research design may have been highlighted as problematic. Therefore, the protocol could have been adapted, making it more appropriate for the population of interest, without detracting from the overall quality of the research. How can people be involved to make protocols appropriate? In the example given above, a meeting with a small number of children/adolescents with type one diabetes could have improved both the aspects described above. Discussions about the project aims and the proposed protocol may have raised problems which could have be adapted early on in the research development, rather than after hitting a stumbling block. Including patients in this element of the research is essential, because as researchers we do not truly know what it is like to live with a condition, while any relevant experience we do have may be clouded by our preconceptions of ‘what we want to find’. Therefore, people with relevant experience can make suggestions on what might not work and advise on how to change things to improve the feasibility for patients or members of the public. Recruitment and retention of participants is an essential aspect for the success of any research. As researchers, we have a set agenda when designing a study, with things we need to measure and control for. It is often too easy to keep adding time points or measurements as it is ‘simple’. Additionally, it is not often discussed why people decide not to take part in a study, and why recruitment targets were not reached. Ultimately, this can mean that data is left unused, as the study is never completed. I am sure that this is true for many of you reading this piece. Therefore, involving patients or members of the public in the design of studies could hugely benefit the recruitment and retention of participants. For example, in mental health research, it has been evidenced that studies that involve patients throughout projects were more likely to achieve their recruitment target, with success being defined as reaching at least 90% or the target . I recently had the opportunity to discuss this with prospective participants of a study, who had decided that they did not want to take part. They explained that the protocol used was too time consuming and intrusive, while it was deemed as not appropriate for their given condition. On reflection, similar outcomes could have come from a much more refined protocol, and if this discussion with patients had taken place before the study had commenced, the protocol could have been adapted and made more suitable for the target audience. Therefore, involving this patient group in discussions about the design of the research could have negated this issue and ultimately led to a more successful study, without detracting its quality. And, as an added bonus, this could reduce the stress and hassle for researchers trying to recruit. Patient facing documents, such as consent forms and information sheets, are an integral part of any research. These documents are important for the recruitment purposes, as well as an ethical obligation from the research team to ensure that participants understand what they are signing up for. Therefore, it is important to ensure the readability of these documents. If they are written in complex language, they are often incomprehensible to a ‘lay’ person and can be overlooked. This is worrying when you think about how important understanding this document is when making decisions to take part in research. Participants could take part in the research despite being unclear of the rationale of the study and what the study involves, or even decide not to take part because they do not understand what it will involve. PPI can ensure that such documents are readable and contain only the important information. How can PPI be used to improve recruitment and retention? There are a number of ways PPI can assist in the recruitment and retention of study participants. If you have incorporated points (1) relevant research, and (2) appropriate protocols, the chances are that the research is of interest and that the protocol is feasible for that population. Therefore, you are already in a better place than you would have been. To continue on this new trajectory, you could ask for feedback from ‘lay’ audiences on your patient facing documents. For example, are they understandable to someone who may not know about the topic, or the given ‘ins and outs’ of equipment and technical terms in exercise physiology and disease? It’s time to start making PPI more common place within Sports Medicine, especially if involving clinical populations or in studies which have the possibility to influence public health policy. There needs to be a shift in researcher attitudes and training to guarantee awareness of PPI, its benefits, and how to effectively use the experiences of patient groups and members of the public to improve research quality and impact. More information on PPI can be found on INVOLVE’s website, the national advisory group on PPI, who aim to bring together expertise, insight and experience in the field of public involvement in research: http://www.invo.org.uk/about-involve/. The time for preparation of this article was supported by the National Institute for Health Research (NIHR) Collaboration for Leadership in Applied Health Research and Care South West Peninsula. The views expressed are those of the author and not necessarily those of the NHS, the NIHR or the Department of Health. The author would also like to thank Dr Kristin Liabo, Mr Robert Mann and colleagues from the PenCLAHRC patient and public involvement team for their contributions to putting together this manuscript.